The beautiful historic centre of Poppi, among the most beautiful in Italy, is hosting from the 25th to the 28th August “The Guidis Taste – Wine Festival”, a vast Exhibition of both Tuscan wines and traditional and organic products of the Casentino Valley. Now at its 15th edition, this year it boasts the first prize for “Wise Festival”, sponsored by the Casentino Ecomuseum. This year’s guest of honour will be the region of Umbria which will add an excellent selection of wines to the over 400 labels already waiting in the old town cellars. The event kicks off with the opening ceremony on Thursday, followed by an extraordinary dinner organized by the Chef’s of Arezzo Association. Wine cellars will be opened in the following three days, while along the streets stalls will offer traditional dishes. Saturday and Sunday will see the addition of a market selling typical products of the valley. 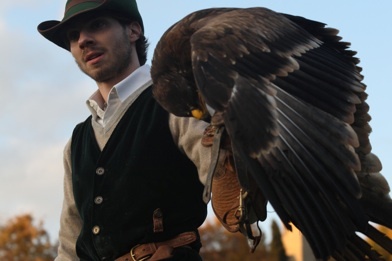 Saturday afternoon visitors will also be entertained by a magnificent show of falconry as well as events organized by the National Park of the Casentino Forests. Furthermore, in the superb setting of the Castle of Poppi, aka Count Guidi’s Castle, will be held the 5th Award of the IGT Super Tuscans Reds, regarding the latest wine selections and the official prize giving to the winner of the 2011 Edition. 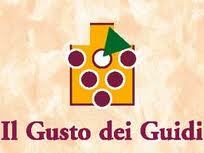 A great opportunity to visit this part of Tuscany and to savour its fruits. Tuscany Holiday Rent offers a selection of villas in the Casentino for those wanting to spend their holidays here. 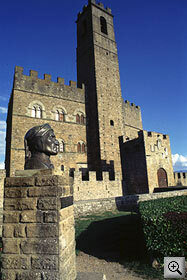 Questa voce è stata pubblicata in Castles in Tuscany, Culture and accommodations in Tuscany, Festivals and feasts in Tuscany. Contrassegna il permalink.